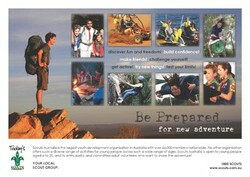 Over the past few years, Scouts Australia has run several national advertising campaigns. 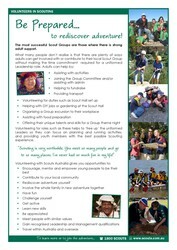 The advertisements in this section of the website may be downloaded for any appropriate use by Scouts Australia members, Groups, Districts, Regions and Branches, as well as schools and other community groups. 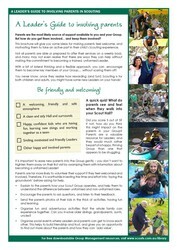 If you need higher quality versions of the material or if you are having trouble downloading, please email nat.commspublishing@scouts.com.au. A version of this poster was developed into a traymat for McDonald's restaurants as a result of Scouts Australia's assistance in raising funds for Ronald McDonald House Charities on McHappy Day. 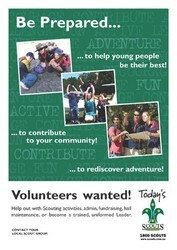 Scouts Australia has since released a different tray mat with McDonald's annually. Great for general use, with space for you to write your Group name and contact details. World renowned adventurer, motivational speaker and Chief Scout UK Bear Grylls says being a scout made him who he is today. In these excellent TV commercials and promotional videos Bear Grylls encourages both youth and adults to participate in Scouting. All videos on this site can be viewed at Scouts Australia's YouTube Channel, where you will also find links to TV ads produced by Scouts Australia's State Branches!